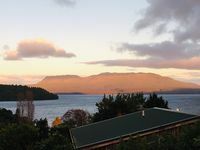 Properties in Lake Tarawera average 4.5 out of 5 stars. Relax in comfort in our well equipped lake house. Property 7: Relax in comfort in our well equipped lake house. LARGE LOCKWOOD GEARED FOR FAMILY GET AWAYS!! 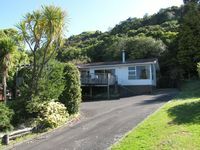 Property 9: LARGE LOCKWOOD GEARED FOR FAMILY GET AWAYS!! ATTRACTIVE LAKEFRONT PROPERTY-THE LAKE HOUSE, Sleeps 6+ in beds. Property 20: ATTRACTIVE LAKEFRONT PROPERTY-THE LAKE HOUSE, Sleeps 6+ in beds. If peace is what you're seeking, you will find it here! Property 24: If peace is what you're seeking, you will find it here! We really enjoyed our stay. The house is tidy and warm (well insulated). Log burner great on the cooler evenings. Very peaceful part of the world with plenty of skiiing to be done. Great location, communication and Bach, many thanks!